Another beautiful series to brighten our screen. I do so enjoy coming here. Those are the BEST roses, storyteller! 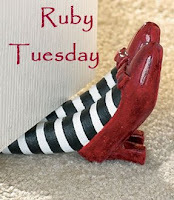 :) Happy Ruby Tuesday! The roses are lovely - pity to turn them mono. Red roses are such gorgeous blossoms! Very pretty indeed! Interesting mosaic with the black & whites & color! Fine way of presenting your lovely photos. Happy RT. You can't go wrong with a rose! Beautiful collage! I love the roses in color. The b&w ones on the other side look retro in good way! Thank you! Nice story! Happy Mosaic Monday, your roses are gorgeous, I love the deep rich red one and I adore those little ducks. Kathy. "A rose by any other name..." Very nicely done. Roses are special from bud to "grave". 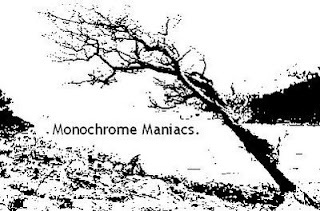 I like the monochromes too. They are challenging imagination. That was beautiful, and creative... Very nice...Have a great week! I love the composition of the last photo!! Just lovely... makes me think of that saying... my love is like a red, red rose. What a deep wonderful color!! The monochrome in that first collage makes for very interesting and dramatic images! I like it a lot. Great series of pictures. Flowers are my favorite, and I also like red ones. Thanks for sharing. Another inspiring blog to follow. I love your Small Reflections as in any other blogs you have. You keep them neatly trimmed and well-organized with thoughts to ponder on. Great for reflections. i like your photo treatment here. I like how you've focus red only on the roses :) Lovely! Beautiful collage! I love it! That mosaic is wonderful. I love the monochrome with splashes of red...very creative. Thanks! You did a great job combining the memes. Beautiful mosaic. 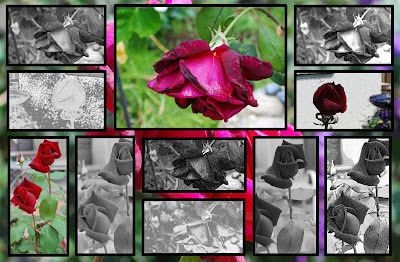 I am inspired by your rose collage. It is beautifully laid out. I would like to learn how you achieved that. Great collage, I have not made one lately! I think I need to get creative this evening! I am happy to see the highlighted roses, as the ruby blooms should be the prize in the sea of garden greens and photo gray. Nice! 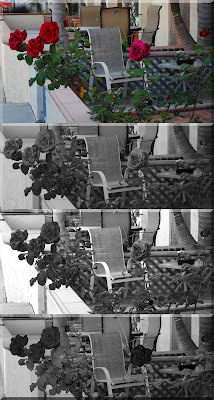 Love the contrast of blood red roses against black&White. The collage is very cool. Each shot is in it's own right- beautiful.